I've been hired to do a big campaign that requires all sorts of permutations of an Illustrator design. Most recently, I was asked to make a banner. The printer wants my Illustrator file (no pdf) in CMYK, but requires Pantone references. But I have no Pantone Book (and I'm basically too poor to buy one right now). So I just converted the nine main colors in my artwork from CMYK to Pantone through Illustrators color books. How accurate will this be as a reference for the printer? And is it enough to just use my nine most used colors (there are about 100 colors in my illustration)? And this might seem like a silly question: but how do I send them this? Do I just add a Pantone Swatches Folder within my file for them? Or do I send this in a seperate file? I've never encountered these sort of printer requirements and I'm at a loss. If you are converting Pantone spot colours to CMYK, it's probably best to use the "PANTONE + Color Bridge" swatch libraries that are contained in Illustrator. Use either the coated or uncoated one depending on the stock you use. These swatches should be up-to-date with the latest Pantone books. I'm not entirely sure of this, but I have seen this post on Adobe's own support forum which claims that Illustrator's automatic conversion to CMYK does not use the most up-to-date Pantone conversions. However, even using a Pantone book, these colour conversions are an estimation, since there are Pantone spot colours which lie outside the gamut of CMYK printing. The problem can be clearly seen in the photograph of a Pantone Color Bridge swatch book shown below. The colour conversions are not exact, so it would make little difference if you were relying on a physical book for conversion. The only benefit of doing so is that you could potentially choose a better match than the one suggested by Pantone themselves. Not the answer you're looking for? Browse other questions tagged adobe-illustrator color color-conversion pantone swatches or ask your own question. 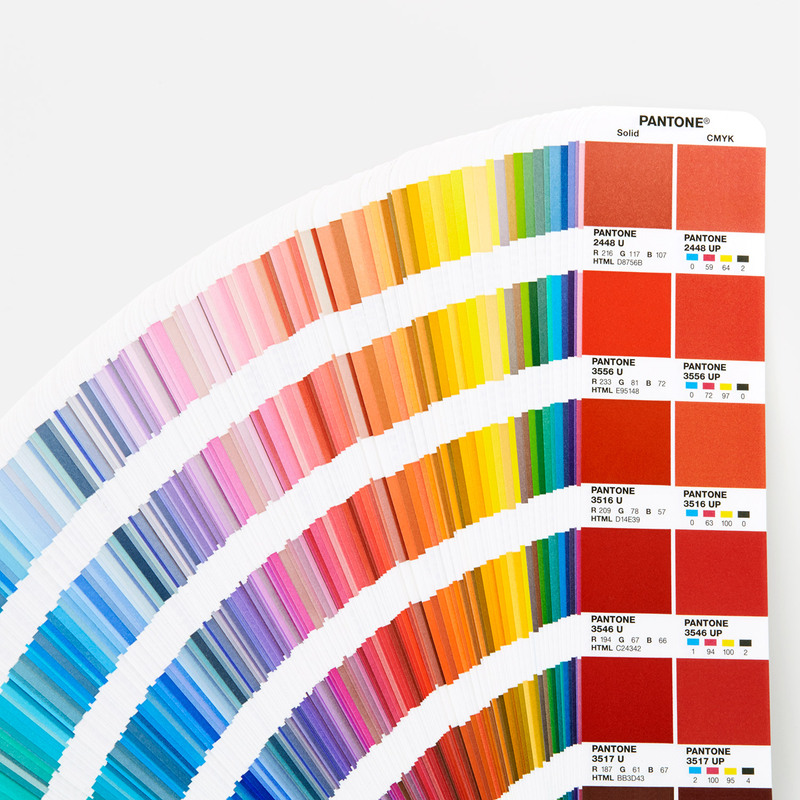 How do Pantone coated and uncoated colors relate? How to find a Pantone Color in Illustrator? Why doesn't the Pantone Color Finder use same preview color for Coated and Uncoated? Help! What color palette should i send to printer: CMYK or Pantone?